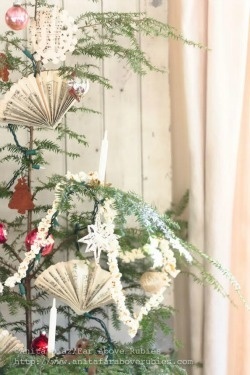 into my Christmas decor this year. and then it occurred to me what I wanted to do. The epiphany moment. I bought some covered jars, plates and egg cups. The covered jars were originally in the guest room hutch, then lately, the mantel. everything on the table were things that I had on hand. So fun to shop the house. Have you noticed a crystal/glass base on the bottom of the egg cup? attached to the base of the egg cup with double sided tape. makes another appearance on the Christmas table. Mainly because my granddaughter loves to put special surprises in them. The gold deer also making another appearance this year. Faux and real candles give a glow to the table. to many things. I have actually attached one to a book. souvenir from her trip to the Biltmore House. She said when she saw them, she thought that I would love them . . . and I do! and salad plate by Ralph Lauren. 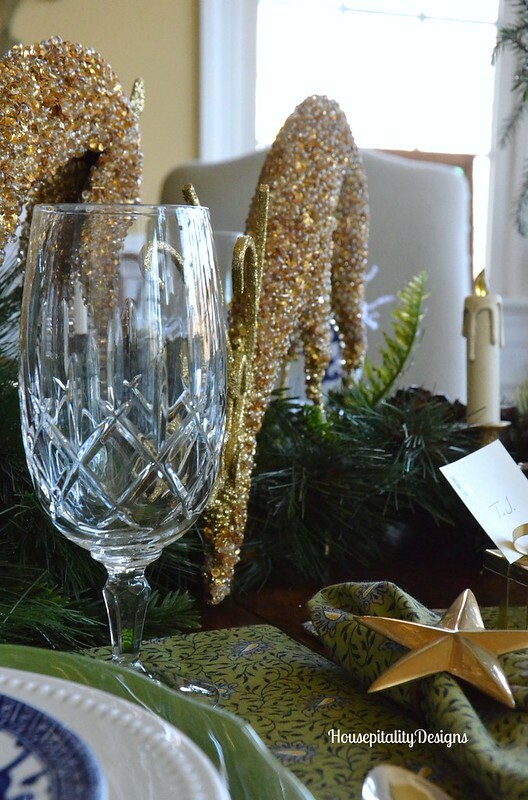 Stemware by Lenox. 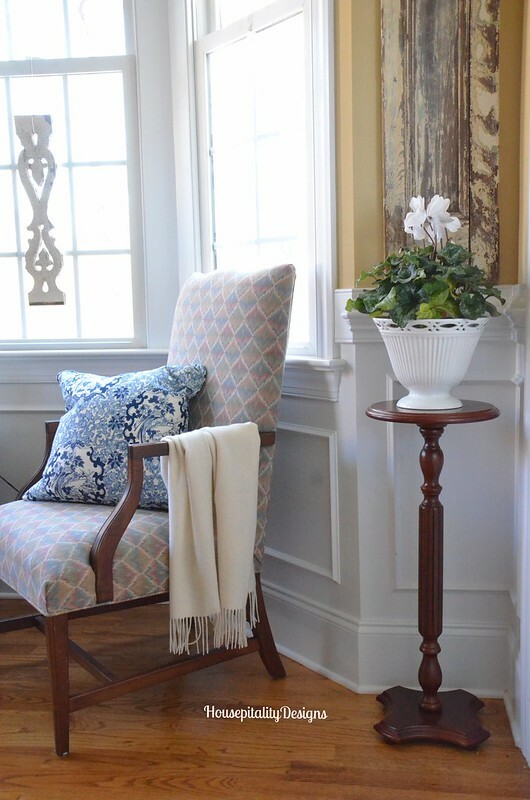 placed in the chairs in the bay window area of the dining room. The wreath is hung, the table is set and ready for Christmas festivities. 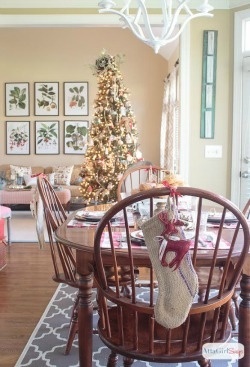 Hope you enjoyed my dining room dressed for Christmas. 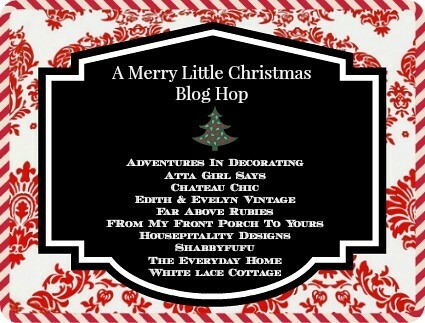 as a part of A Merry Little Christmas Blog Hop! Our hostess for the Hop is the wonderful Pamela of From My Front Porch to Yours. The road to great inspiration is below with some sneak peaks. Amazing inspiration is just a click away! 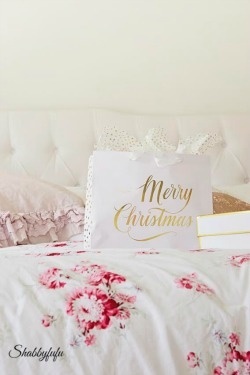 Have a most wonderful day filled with the season of Christmas Joy! of the rooms I decorated so far? 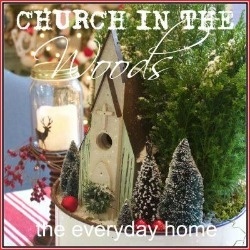 where they are featuring my home dressed for Christmas! 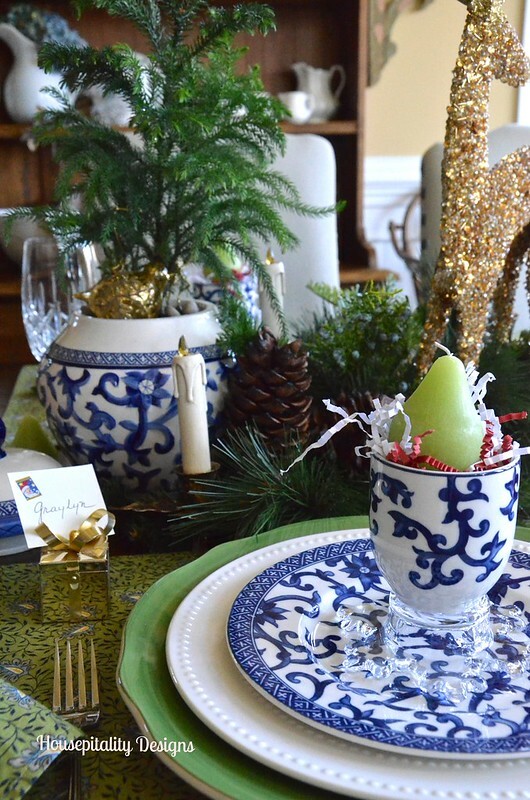 Your blue and white table set with the green and gold is stunning Shirley! 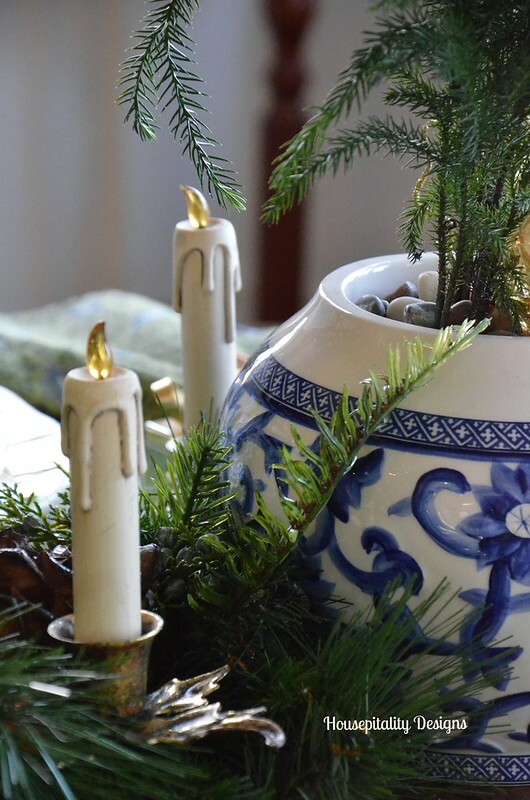 I love seeing blue and white used at Christmas or for Thanksgiving. So genius to repurpose your snowflake votive holders as mini pedestals for your egg cups! 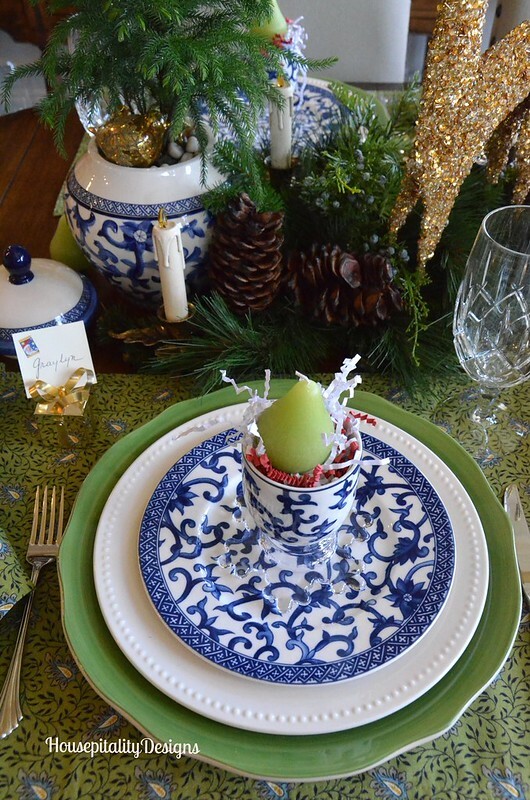 The blue and white looks beautiful on your table paired with greens. 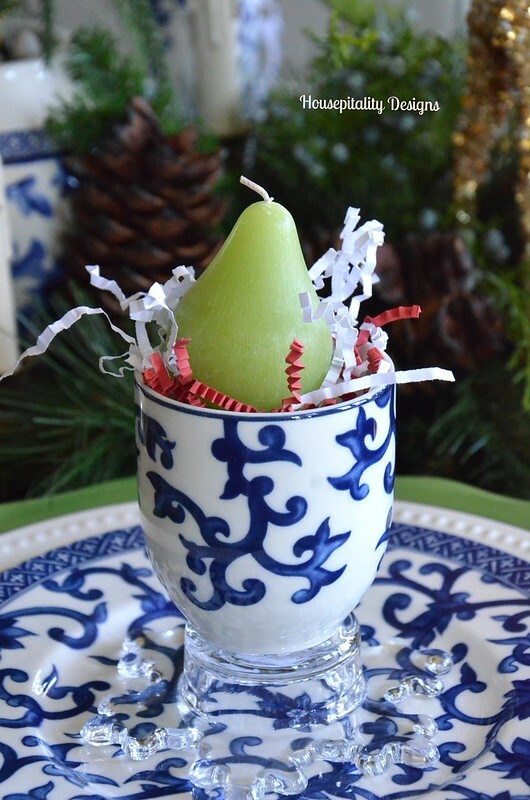 Loving the little clip on candle lights, and of course the pears are perfect in the egg cups. Gorgeous, Shirley!! 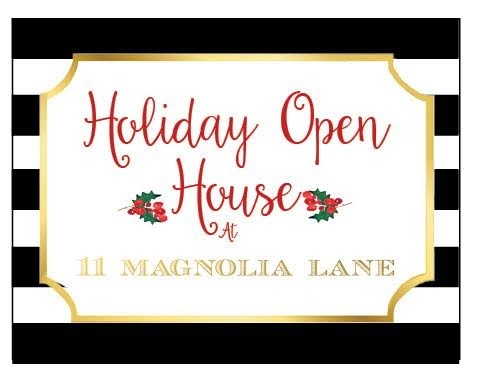 I bet it “is” fun to shop your house … I’d love to shop it, too! 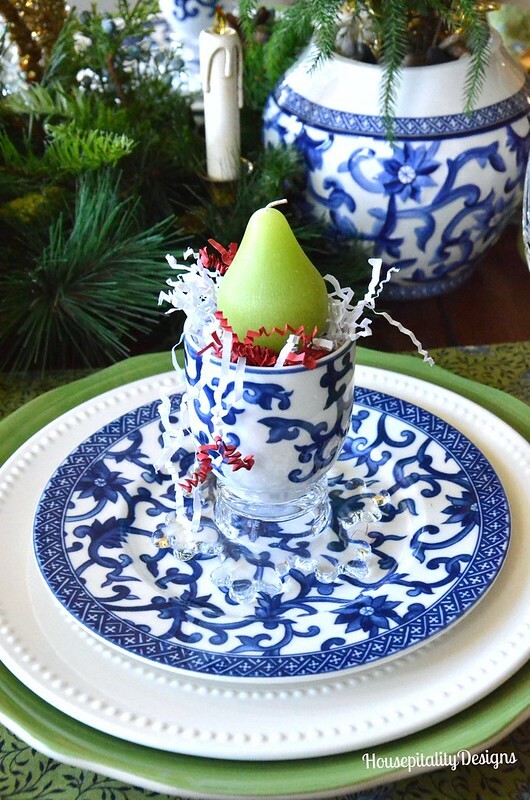 😉 The pops of blue and white are perfect on your table … stunning companion to your holiday greens! 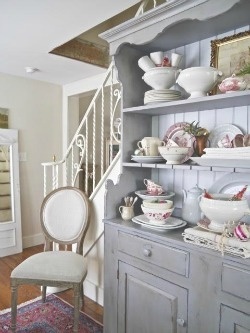 And, you’re always so creative when it comes to styling … even if it means turning pieces over to serve as a great base! 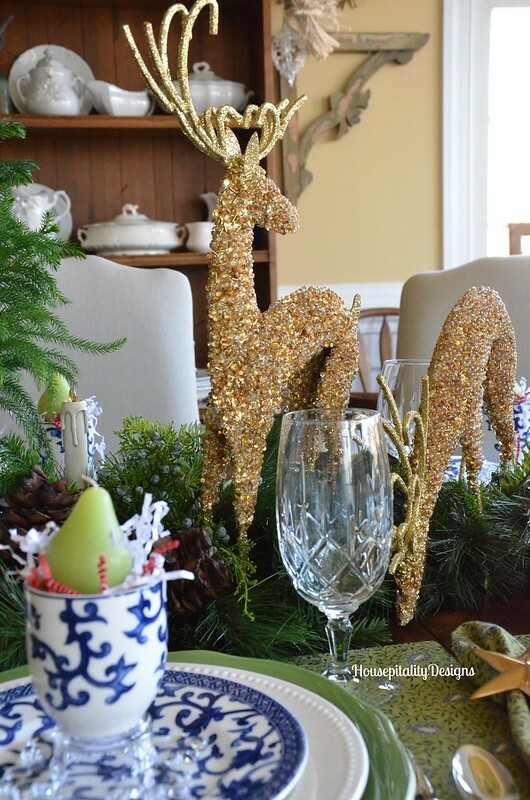 Love your gold deer … and, of course, the treats that your granddaughter adds! 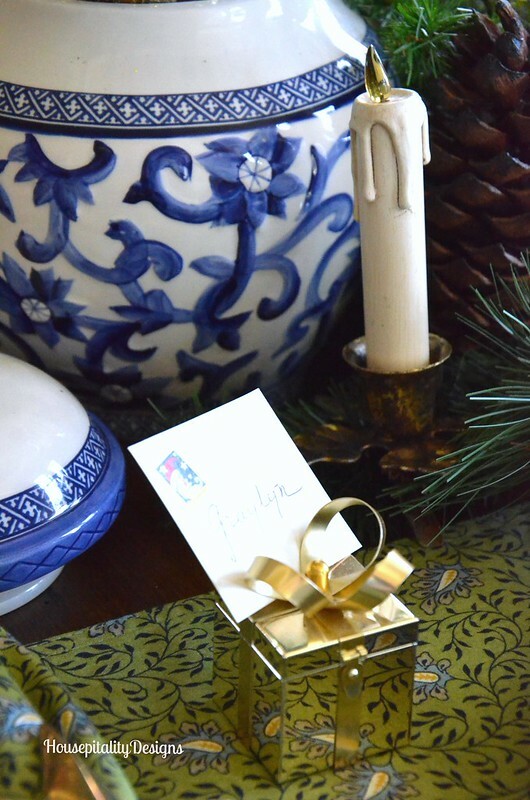 Happy to be blog hopping with you today, friend … Happy Holidays! 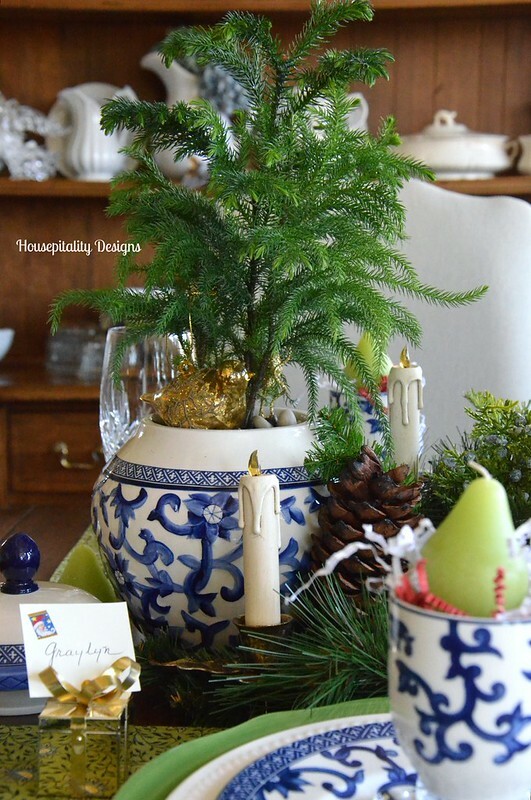 Love this table in blue and white and touches of green and gold. Grey was so sweet to think of you and give you the pears. They are the perfect touch. 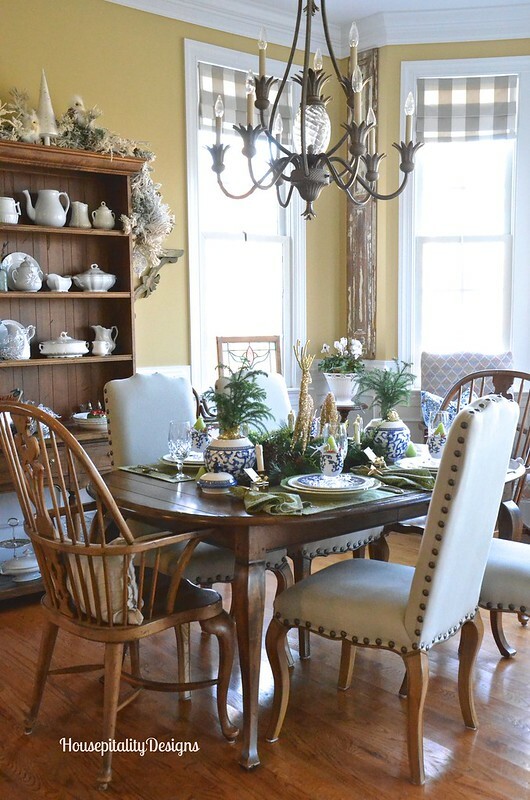 Shirley, your dining room is beautiful, all dressed for the holidays! 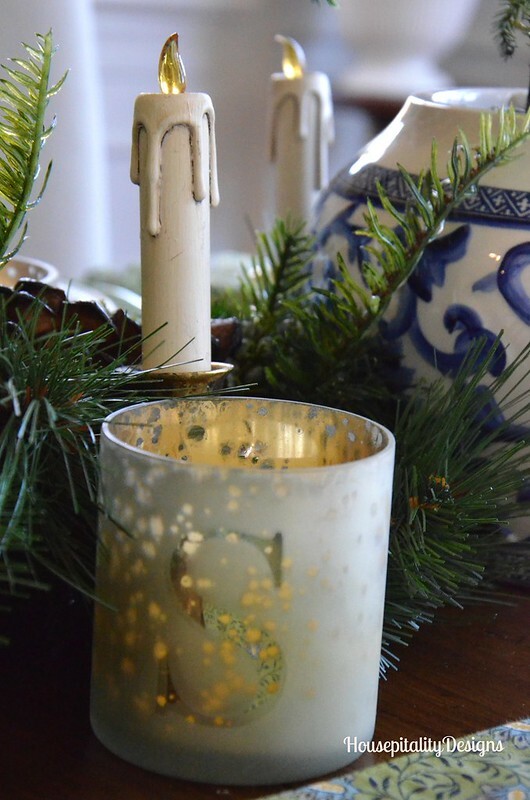 Love the blue and white paired with the gold and green. 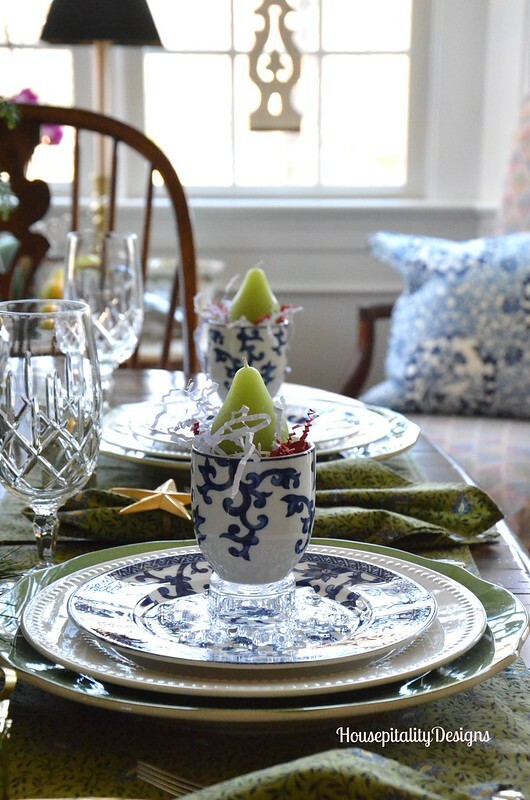 Those pears are perfect on the table….your granddaughter has excellent taste, she must get that from you! Gorgeous! Of course, I love the blue and white! Gorgeous table, Shirley! Love the unexpected of the blue dishes! The gold reindeer are so pretty and the pears and story behind them make me smile. Your granddaughter sounds like a sweetie! Beautiful dining room. Hope you have a wonderful week! 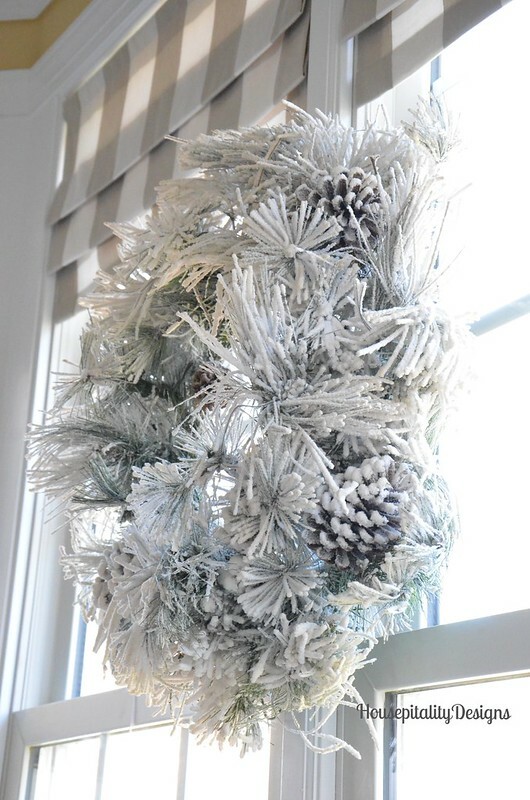 So fun to party with you Shirley and I do love how you incorporated the blue and white into your Christmas decor! Your table is stunning! You KNOW I love the blue and white! The gold deer are so pretty too. Love the little gift boxes, how sweet of GrayLyn to want to put treats in them! Have a beautiful day! 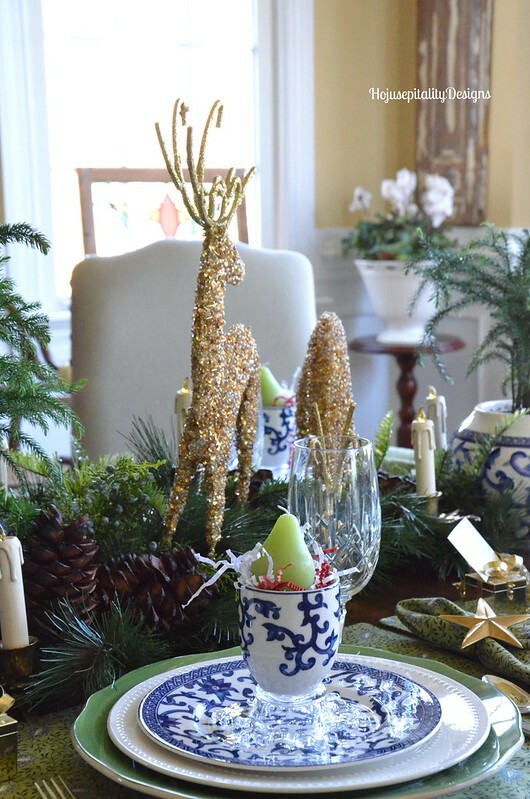 the blue and white is so fresh and different for the holidays Shirley, it looks fabulous with your golden deer, fresh greens, and in your beautiful dining room! How beautiful, Shriley! Love the touches of blue and white. I love the blue and white! 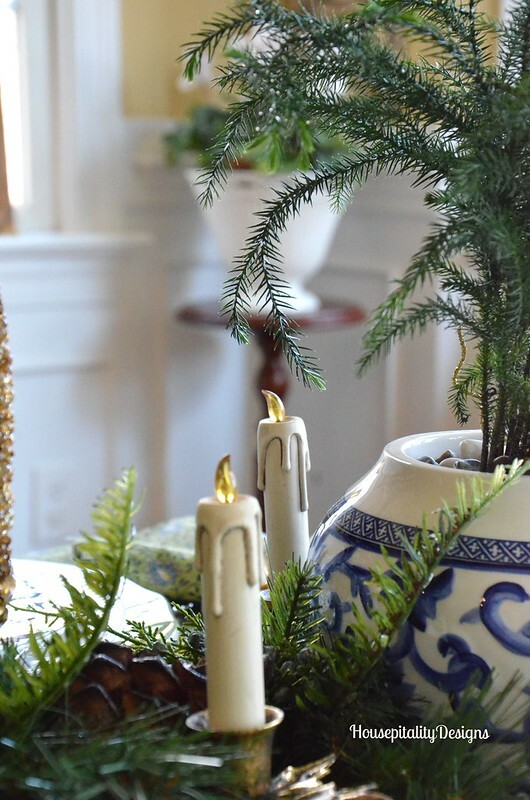 Such a gorgeous table with all your holiday touches. I need to learn to shop my house a little more.. Enjoy your week! What an ingenious idea! I love it! Now you’ll see some copycats I’m sure! Shirley, I would feel so comfortable sitting at this beautiful table! I love the mix of blue/white, green, and gold! All the elements work so wonderfully well together! Perfecto!! I love the white and blue together. 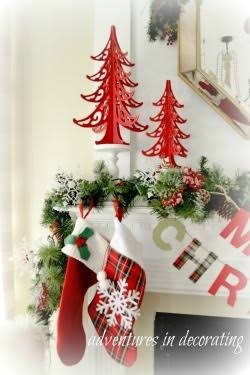 I also love that all white wreath. Just beautiful. 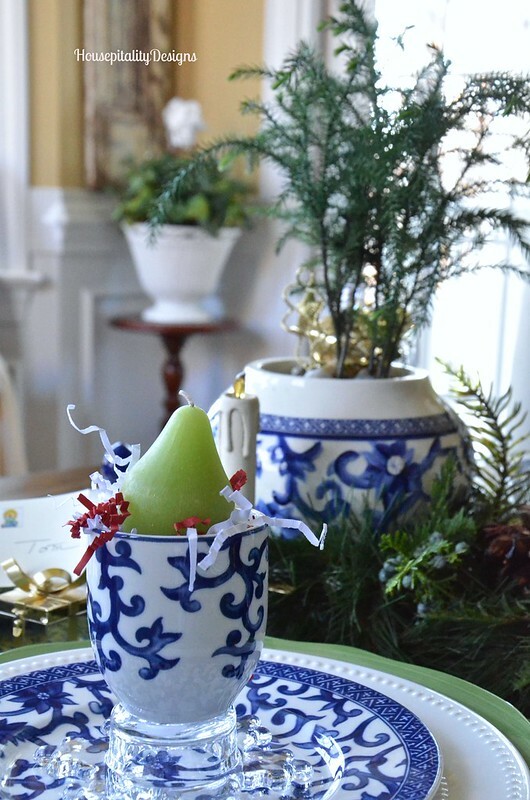 Blue, white and green….such a pretty color combination! 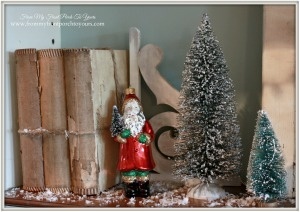 Penny @ The Comforts of Home’s recent post…A Little Christmas Bling on the Mantel and Featured! What beautiful colors for your tablescape! 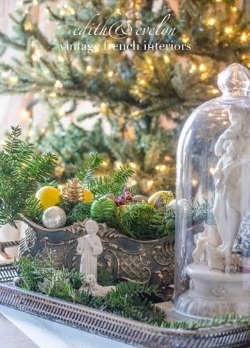 I love all of your touches, especially your pretty blinged out deer!Merry Christmas! Shirley, that is just a gorgeous setting, but you always set a pretty table:-) I love those little battery candles with clips and must have some, though. Where did you get them?? I am loving that dinnerware very much too! Quite lovely the way the blue and white pops out against the green. It’s all beautiful, Shirley! Good choice going with Ralph:) The deer are so showy and look gorgeous on the table!